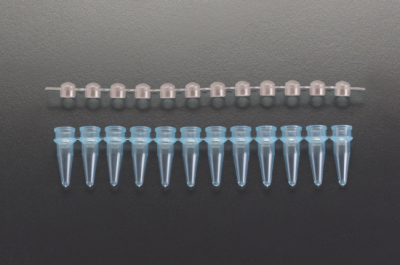 ASI Reaction Strips include 12 integral 0.2 ml tubes with ultra-thin sidewalls and bottoms for more uniform and efficient temperature transfer, therefore reducing PCR reaction time in most 96-well “V” bottomed thermal cyclers such as MJ Research, Perkin Elmer, Hybaid and others. 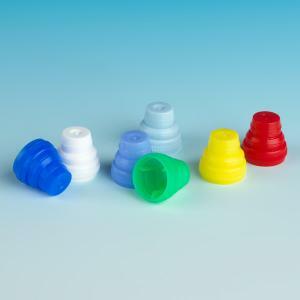 They are more easily handled than single tubes. 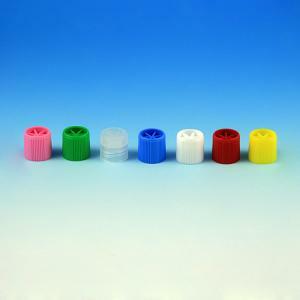 They will precisely fit standard well spacing and can also be used with 8- and 12-channel hand-held pipettors. All strips are molded of polypropylene under the most stringent conditions and are offered, colorless and in four different colors. 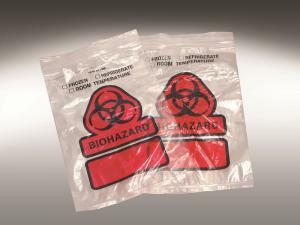 Non-attached cap strips are available in a dome or flat top design and ensure a perfect closure during the whole thermal cycle. 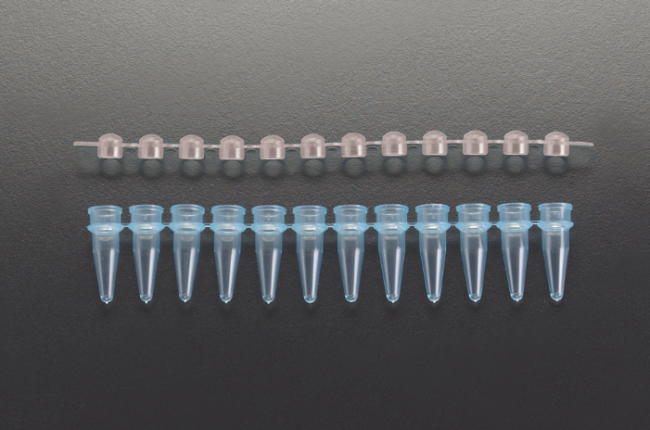 Cap strips are not included and have to be ordered separately (see T321 Series). 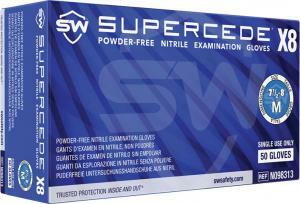 Packed in tamperproof resealable bags.